CONFRONT is an exhibition about facing the things that control, manipulate, embolden, debilitate, arouse, and categorize us all. 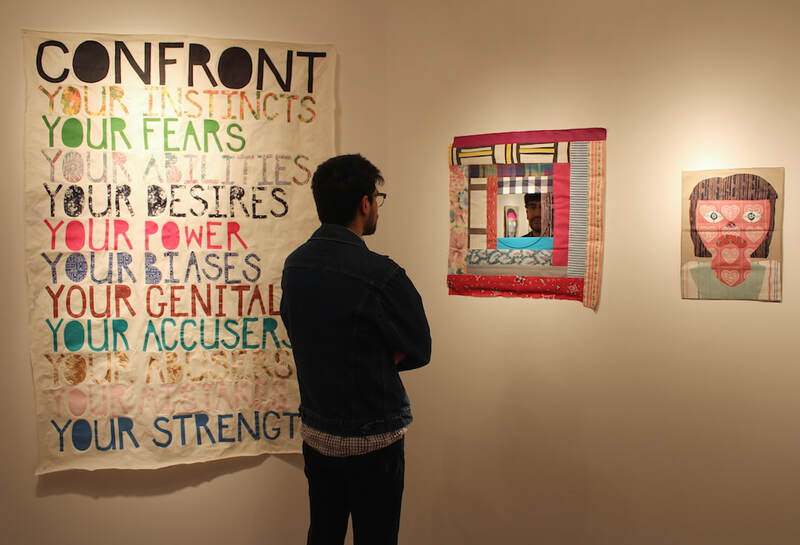 Eliza Fernand's large-scale fabric installations act as pedagogical tools and aim to spur conversation about history, gender, disparity, consent, and our present-moment struggles. After studying sculpture, video, and performance in Portland, OR, Fernand has led a cross-country career; attending over a dozen artist residencies and directing her own traveling field study of American quilt-making traditions. 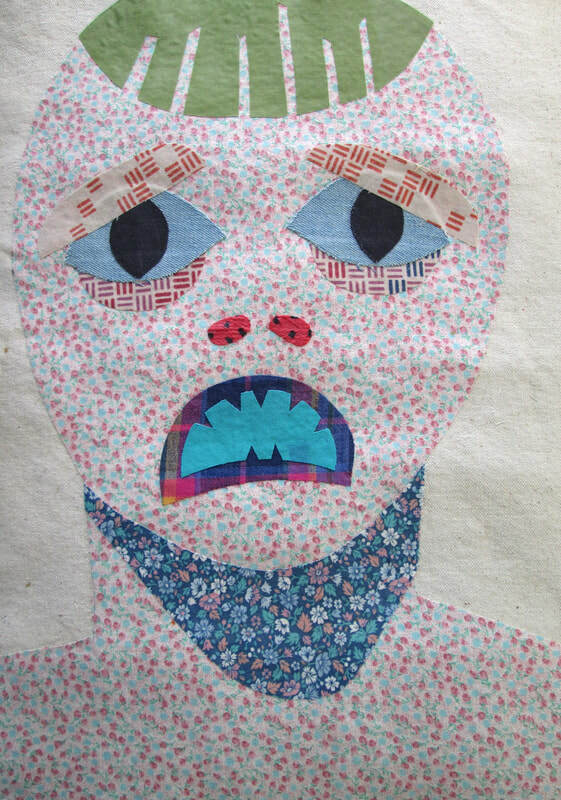 Open Call for Collaborative Patchwork: A COLLABORATIVE NO. I am collecting squares for a collaborative patchwork to be exhibited in March 2018 and beyond. 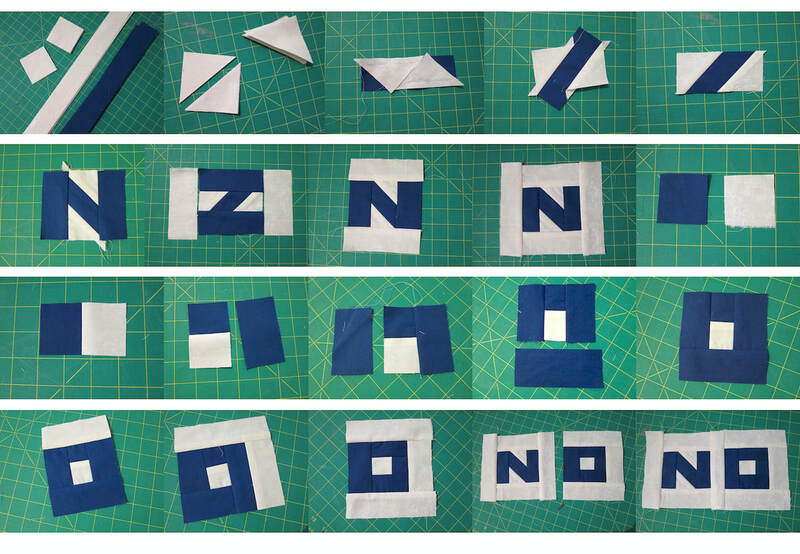 Anyone and everyone are invited to follow the NO Patchwork pattern I designed, to make their own piece to be included with others in a large patchwork wall hanging. Some basic sewing skills are necessary, but easy to learn! I am interested in what people are saying NO to, and I want to bring many voices together in one space. The piece will first be exhibited during my solo exhibition at the Taber Art Gallery at Holyoke Community College in Western Massachusetts in March 2018, and at later public events and exhibitions. 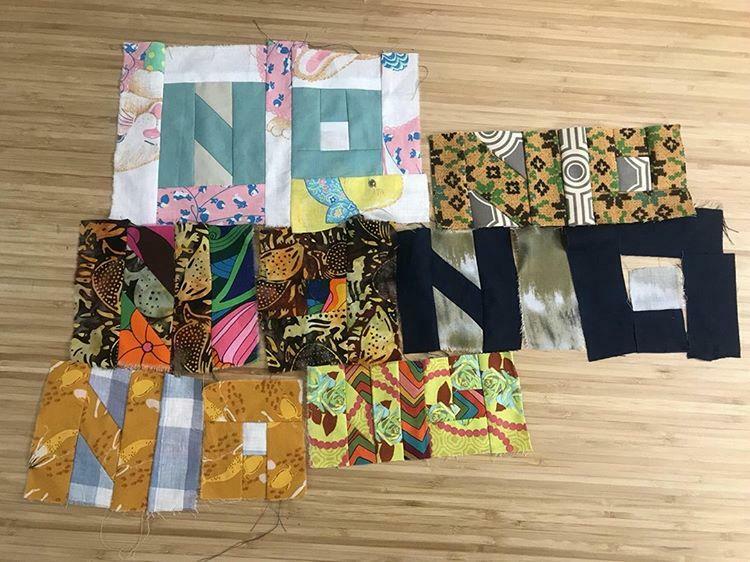 Participants will send me their patchwork and brief words on their experience of NO, and I will build a large patchwork out of the pieces, as well as make a multimedia piece from the statements. The piece will be shown with my large NO: You Do Not Have My Consent patchwork, my EQUITY NOT EQUALITY banners, and other new work that is about confrontation. 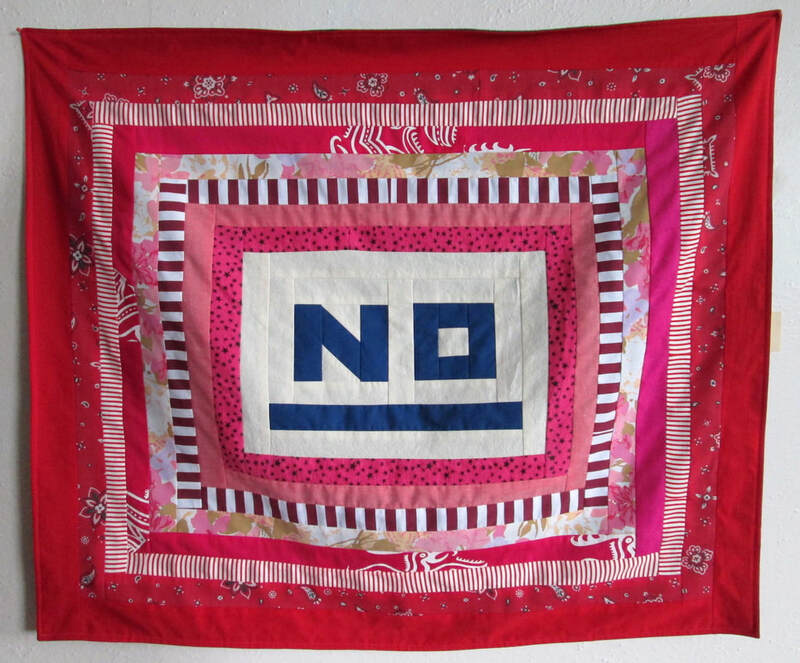 The NO patchwork originated from the empowering act of saying NO; it's relationship to sexual consent and political strong-arming; and the socialization that tells many women that they should always be agreeable and accommodating. I am interested in hearing from all genders and perspectives on what you need to say NO to. 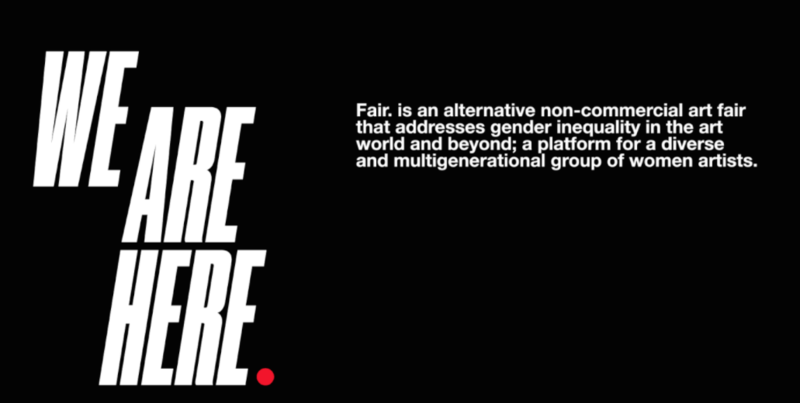 + Send me an email (elizafernand@gmail.com) with the subject line reading "NO Patchwork"
Fair. 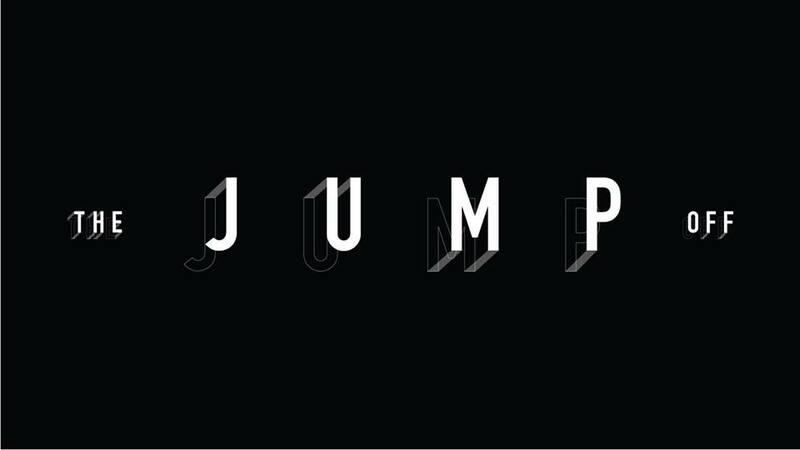 is a unique curated experience that provides space for women artists to create site-specific interventions in a non-traditional venue; to include notable works by Yoko Ono, Guerrilla Girls and more than 50 other women artists. This December 7-10, Brickell City Centre (BCC), Miami’s newest urban shopping epicenter, will be home to Fair., an alternative, non-commercial contemporary art fair set to be a historic convening of some of the world’s most iconic and trailblazing women artists. Presented by Swire Properties Inc, Fair. aims to address gender inequality in the art world and beyond, highlight activism in contemporary creative practices and inspire and empower women. Fair. will run concurrently with Art Basel Miami Beach, December 7–10 from 11 am to 7 pm, and will be located throughout multiple spaces within BCC’s shopping center. This catalog chronicles the adventures of resident artists in the Michigan beach town of Pentwater, over the course of a five-year experiment in collaborative art-making and small town explorations. The Shared Space Studio Artist-in-Residence Program operated seasonally from 2011 to 2015, offering facilities and support in a secluded and beautiful setting, with the chance to meet and exchange with other artists. Artists from across the US and Canada made new work inspired by the environment and fostered by the facility, while engaging the local community, building up the studio, and going to the beach. In the summer of 2016, co-facilitators Eliza Fernand and Mary Rothlisberger curated a group exhibition of new work by past resident artists, and recreated the studio inside of the gallery, where they spent time working on this catalog. Fernand's candid weekly recaps of the artist's work and play adapted from blog posts, and contributed essays by visiting artists and Pentwater locals, are accompanied by photo documentation in a brilliant layout by Rothlisberger. 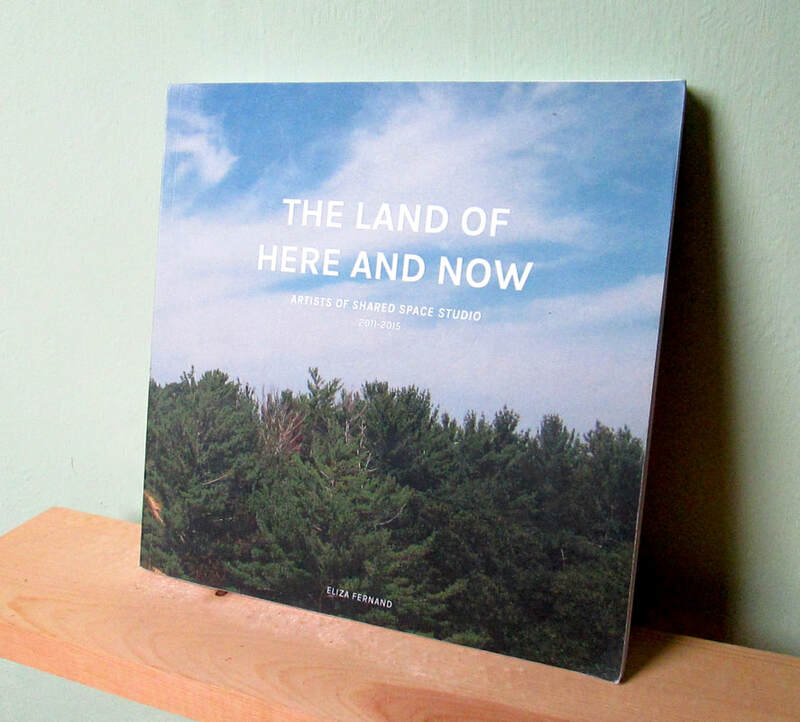 Author and residency founder/director Eliza Fernand will be at Now Space to celebrate the publication of the catalog, and will have copies of the book available for $10 off the list price. I was invited by the Calvin College Department of Art and Art History to make a piece for the facade of the Ladie's Literary Club downtown, and it felt like a perfect fit for my current direction. 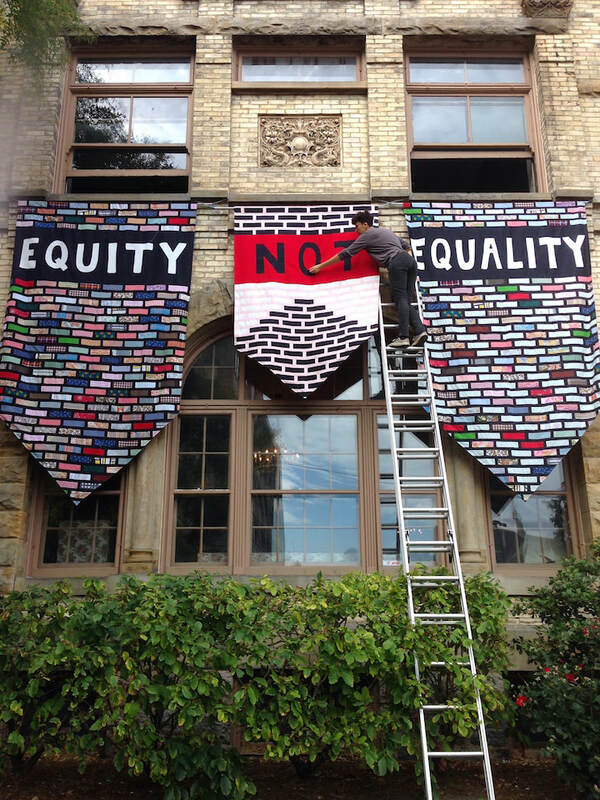 Read my full statement on the ArtPrize website. For this work I am a recipient of an ArtPrize Nine Artist Seed Grant, and Calvin College is the recipient of an ArtPrize Venue Support Grant. I have two of my NO patchwork wall hangings in this group show that has collected artwork in response to the Trump administration. Intermural is a special pop-up exhibition featuring three unique murals by Michigan based artists. From August 15 to September 3, artists will take over the entire 2nd floor of the Art Center, using the gallery walls as their canvas to create process-focused works in collaboration with the audience.